Our 9-day overland group tour includes highlights Lhasa, Yamdrok Lake, Samding nunnery, Karola Glacier, Ralung monastery, Gyantse, Kumbum Stupa, Palkor Choede monastery, Shalu Monastery, Shigatse, Tashilhunpo monastery, Nyemo valley, Yangpachen indoor and outdoor hot spring pool, optional hike at Ganden monastery, Drak Yerba meditation, Tidrum nunnery meditation cave of Maha Guru Rinpoche, finally Drigung Til monastery and Tidrum Nunnery hot spring is perfect for Travelers wanting to enjoy the beauties of nature and spiritual in Tibet without too much rush. Tibet Travelers use high-quality 3-4 star Tibetan own hotels with expert English-speaking Tibetan tour guide and Tibetan tour Driver to share the beauties of Tibet to Travelers with care. This Journey will start by exploring the holy city of Lhasa. You will see the main Buddhist sites in the city including Jokhang Temple, Sera Monastery, Norbulingka Palace and the Potala Palace. You will also be able to explore the Old Town of Lhasa and rub shoulders with some of the thousands of pilgrims who are here each day. Altogether, you will spend three nights in Lhasa. Next, you will make the scenic drive to Shigatse going via Yamdrok Lake, Karo La Glacier, and the Gyantse Kumbum Stupa. From Shigatse, you will travel back to Lhasa. After arriving in Lhasa, you will travel to Ganden monastery, Drak yerba meditation caves, and Tidrum nunnery meditation cave of Maha Guru Rinpoche for an optional hike with a duration of 2 hours. We will also travel to the Drigung til monastery and Tidrum nunnery hot spring where we will relax at one of the best hot springs in Tibet. Another hot spring in the tour includes Yangpachen hot spring. 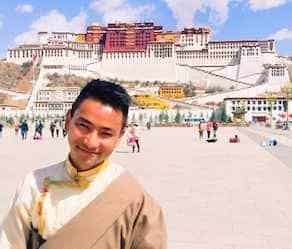 On the morning of the 9th day, you will travel to the Lhasa airport or train station by saying goodbye to our Tibetan tour guide and tour driver. A fantastic journey for Travelers loving overland beauties and spiritual in Tibet with hiking in the high mountains and fresh clean hot spring. You will be met at the Lhasa airport or train station by your Tibetan guide and transferred to the Shambhala Palace located in the Old Town of Lhasa, elevation 3600 meters. You can then explore the nearby Old Town of Lhasa and the markets lining Barkhor Square. You will depart Lhasa in the early morning and drive through the scenic Yarlung River Valley towards Yamdrok Lake. Yamdrok is one of Tibet’s 4 main holy lakes and is regarded as one of the most beautiful lakes in the Himalaya. From the Kamba La Pass, you get a panoramic view of this spectacular lake with the nearby mountains. Next, you will drive along the lake shore to Nankartse, where you will stop for lunch and visiting the Samding nunnery with the great home of Samding Dorje Phakmo female practitioner. It is said that the first Samding Dorje Phakmo has never lie down in her whole life even in the night, her diligence is the reason behind her spiritual accomplishment. Next, you will begin ascending again to the stunning Karo La Glacier. Here, you can get an up-close view of Mt. Nojin Kangtsang and the glaciers coming off of it. We visit the Ralung monastery, which was once the biggest Buddhist college in Tibet and home of many great Tibetan Yogis from Drukpa Kagyu sect including Jetsun Ling Repa, Jetsun Tsangpa Gyare, Jetsun Tsang Nyon, Jetun U Nyon, Jetsun Drukpa Kunley. They are no tourist and sometimes not even locals so Ralung monastery is one of the most peaceful monasteries with beautiful landscape. After Ralung, we drive through the beautiful valley via enjoying the views of beautiful villages and arriving at our next stop destination at the pleasant town of Gyantse. After breakfast, you will visit the massive Gyantse Kumbum Stupa as well as the Pelkhor Chode Monastery. From Gyantse, we will drive to Shigatse via visiting the Shalu monastery on the way. One of the best monasteries in Tibet for a beautiful view of old wall paintings. The driving duration is 1 and a half hour for 90 km. We arrive at the Shigatse city, the second largest city after Lhasa. In the morning, you will be free time in Shigatse to exploration Tashilhunpo monastery. One of the biggest Gelugpa sects collage in Shigatse region. In the Tashilhunpo monastery, you will visit the big statue of future Buddha which is the main relic of the monastery. 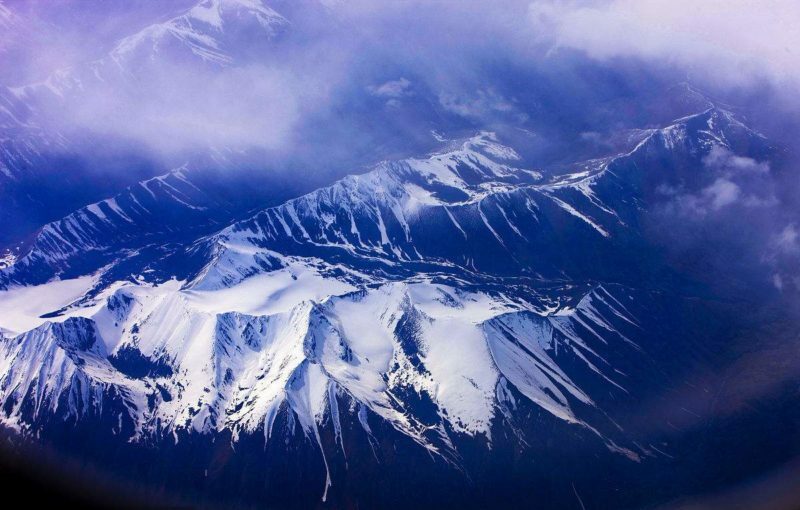 Travel to Lhasa via enjoying the beautiful nature at Nyemo valley and the Yarlung Tsangpo river. Option to go in the hot spring pool at Yangpachen. ( The entrance fee is 100-200RMB per person ) There is indoor and outdoor hot spring. Later travel to Lhasa from Yangpachen with a driving duration of 80km. Later we travel to Drigung Til monastery, the main monastery of Drigung Kagyu school in the Buddhism in Tibet. The monastery is famous for the best sky burial in Tibet but it is not allowed to visit for Travelers. From Drigung, we will travel to Tidrum nunnery Hot spring. Tidrum is the meditation area of Maha Guru Rinpoche. We have options to stay at nunnery guest house or Shambhala Palace branch hotel (8km from Tidrum nunnery). After breakfast, option to hike to the meditation cave of Maha Guru Rinpoche or at the Drak Yerba meditation cave. The duration of the hike to the meditation cave of Maha Guru Rinpoche is around 2 hours from Tidrum nunnery. This is quite a tough hike for Travelers who dont do hike normally. Travelers can also choose to hike at Drak Yerba meditation cave or travel back to Lhasa. 80 queries in 0.292 seconds.